Our professional warehousing personnel keep a stringent check on the entire lot, stored in the warehouse, to keep it secured from diverse factors such as moisture, rain, dust and similar others. The offered lot is reckoned for its quality and reliability as it is prepared using the best available resources. 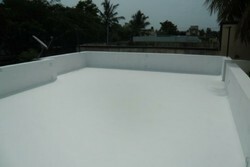 Also, we make sure that the material is sourced from the certified places.